For two single parents with bruised hearts, it'll take more than a little courage to get back on the horse when it comes to love. Kimberly Welch lost her husband to a heart attack in the blink of an eye. But she's losing her daughter slowly, in the day-to-day tension. In three difficult years, Kimberly has gone from Seattle socialite to Kings Meadow charity case, and her daughter is not responding well to the changes. She's becoming a sullen, cantankerous teen. Chet Leonard lost his teenage son in a car accident. Then his wife abandoned him and their two remaining boys. He tries to keep his mind on the family ranch, but if the last two years have taught him anything, it's that sometimes you just have to let the memories hurt. Let the memories hurt, and leave well enough alone. 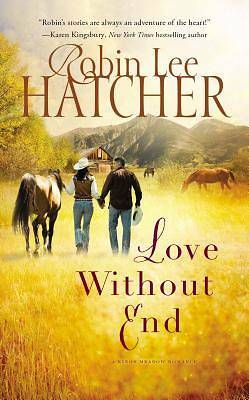 But when Chet volunteers to help tame Kimberly's daughter's horse, everyone gets more than they bargained for . . . especially when eighty-four-year-old Anna McKenna shows up. Nana Anna has reappeared in Kings Meadow after decades away, bringing with her the magnetism and transformative joy that come from a life well lived . . . just the kind of magic that a couple of unlucky-in-love single parents need to conjure up a little courage and raise a new family from the ashes of tragedy.